�As democracy is perfected, the office of the President represents, more and more closely, the inner soul of the people. On some great and glorious day, the plain folks of the land will reach their heart�s desire at last and the White House will be occupied by a downright fool and complete narcissistic moron.� � H.L. Mencken, The Baltimore Evening Sun, 26 July 1920. Focus on the Big Picture. Look at the Long Road Ahead. Forget the noise around you. Concentrate on what is really going on, Yes, you can see tomorrow if you just take a good hard look at today. Great events cast their shadows before them. The future is very, very dark. Anyone who is paying attention can see all this very clearly. The stock market is a house of cards. There is no gold in Ft. Knox, and hasn't been for over 50 years. The dollar is worthless. Every currency on earth is worthless. The residential and commercial real estate is going to keep crashing. Stores, malls, and businesses will keep closing. The real unemployment rate is almost 25% and rising. Real inflation is out of control, especially for food. America has become a totalitarian police state instead of a free republic. The police are now your enemy, and not there to "protect and serve". It's all going to hell on a greased slide. The Much Greater Depression manifests more every day. Two weeks ago we asked you to cut and paste the above link to see a stunning 4 minute video on why to buy silver bullion and hold it. Please do this. Yes, it has been a bad three years, but we've had SIX other similar long silver (and gold) bear markets in the last 43 years. Nothing new. Take advantage of $20 silver, and be glad you can get it in 2014. In a free market silver would probably be $300 an ounce now. Remember silver went to $50 in 1982- which would be over $150 today adjusted for inflation. There was a glut of silver at the time. Today we are almost out. Only the Big Bank manipulation thru the COMEX keeps the price down. Remember the supposed current 48,000 net shorts at 5,000 ounces per contract is almost THREE times the silver sold for investment annually. If that isn't clear-as-gin manipulation, then what is? England is demanding we go to war with Russia? American just gave Israel ANOTHER $225 million to kill unarmed Palestinians. The House voted 395 to 8 with 29 abstaining. YOUR TAX MONEY is killing babies, children, women, the elderly, the crippled, and non-combatant men. The blood is now on your hands and mine. Zionist sock puppet Rand Paul voted for the Israelis as always. We give Israel billions of dollars every year PLUS endless weapons. They have the largest stockpile of nuclear weapons in the Mideast, and YOU paid for them. The Dow Jones was down 467 points the week. It is a house of cards ready to fall. "Let us never tolerate outrageous conspiracy theories concerning the attacks of September the 11th." -- President Bush, speaking to the United Nations. We should not "tolerate" telling the truth about 9/11? That Mossad, the CIA and FEMA did that? They murdered innocent people just to pass the Patriot Act? Exposing this should not be tolerated? Discussing the murder of innocent people should not be tolerated? The last primary lead refiner in America closed after 122 years. Doe Run Refinery was formed in 1892, and had been producing lead for over a century. The EPA wanted them to spend $100 million to update the plant. This is purposeful to destroy the American economy. Now scrap lead is sent to China. Now we have to import lead for the first time in American history. Lead is a vital material, and we cannot do without it. Lead has too many uses to list, especially car and truck batteries (80%). There are over 300 million vehicles on the road now. Lead is also used to make bullets. This is a way to stop bullets being made in the U.S. Then imports of bullets will be stopped. Guns without bullets are useless. Obama promised to work "behind the scenes" to stop all gun ownership in America. For once, he is keeping his promise. It is important you understand the U.S. dollar is no longer the world reserve currency. It is no longer the petrodollar. Every day it is being replaced by less worst currencies such as the ruble, yuan, and rupee. In 1913 the Federal Reserve was formed by twelve Zionist banks. This was the biggest financial fraud by far in history. They have stolen 95% of our money in 101 years. The 1913 dollar is worth five cents now. In 1933 personal gold was abolished. In 1971 national gold was abolished. Around 1960 or so all the gold was removed from Ft. Knox, and no audits were ever done again. Audits are required by law every 10 years. The world finally woke up to the fact the Fed prints green toilet paper 24/7 and wants no part of it. The BRICS nations now have the New Development Bank. They now offer the world the yuan, rupee, and ruble. No, these are not gold or silver backed currencies at all, but they are less worse than dollars. You are already seeing severe inflation- especially for food. 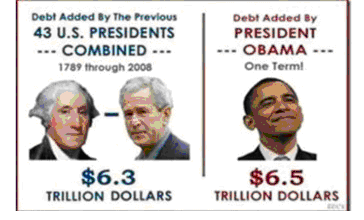 The fraud is over, and hyperinflation will hit America like a tornado. Wal-Mart will start to look like Neiman Marcus as prices explode. They will explode because the dollar is worthless. The MH17 Malaysian airliner was certainly not shot down by Putin or Russia for God's sake! Ray Charles and Helen Keller can see that. The stooge government in Kiev shot down the airliner. Now the West is trying to blame Russia, and start World War III. Russia has promised publicly on television to "reduce us to nuclear ash" if we keep bothering them. They can and they will. Don't forget that. Jonathan Pollard is one of the most dangerous and evil spies in American history. He is locked up for life in federal prison despite endless whining by Israel. Here is what he had to say during an FBI interview. Remember this is a quote from one of the worst traitors in our history. Even other Jews like Caspar Weinberger says he should be locked up for life. He put our entire country at great risk. "The US shouldn't give high clearances to Jews, because when asked to help, we're willing to do anything for the love of our country, Israel." -- Spy Jonathan Pollard during interrogation by the FBI. Make note that Pollard was born in the US and his spying put America in serious nuclear risk back in the 1980's and was responsible for many deaths. Remember Obama said if he had a son he would look like that criminal Trayvon? "We must create out of the younger generation a generation of Communists. We must turn children, who can be shaped like wax, into real, good Communists.... We must remove the children from the crude influence of their families. We must take them over and, to speak frankly, nationalize them. From the first days of their lives they will be under the healthy influence of Communist children's nurseries and schools. There they will grow up to be real Communists." This is what the public (government) school system has accomplished. Not that the private and religious schools are much better. The stock market is a disaster waiting to happen. This is where nearly everyone has put their IRA and 401k money. Take your money out, pay the penalty, and buy silver bullion. Here's a three month Dow Jones Industrials chart. On Augusts 12, the HUI Gold Miners Index made a new high of 249. This is very significant. The miners are now leading the metals. America is a pitiful has been country. We had no business in World War II, no matter what you read somewhere. For 70 years now, starting with Korea, we have not won a war. That's right, not one. We have attacked countries like Afghanistan, Iraq, and Libya without cause. Remember 100 years ago, "Britain ruled the waves". Then the socialists took over. Now it is a pitiful third world backwater filled with slums and third world immigrants. Argentina was the third largest economy in the world. Then the socialists took over. Now it is a third world backwater. Soon America will be just another third world backwater full of the same slums and immigrants. Remember that liberals, progressives, and leftists suffer from mental disease. The liberals keep screaming about Global Warming even though we keep having record cold winters around the world. Cairo had their first snowfall in 100 years. The National Snow and Ice Data Center reported that Antarctic ice is at record high levels. Record freezing temperatures around the world. Well, we had 30 degree temperatures in July in some northeast states. This has been one of the coldest winters on record. One of the coldest springs on record. And now one of the coldest summers on record. The Atlantic ocean has record low temperatures. We now have May weather and May ocean temperatures in August. Yet today (August 15) the Associated Press released a world wide story that the ice caps are melting at record rates due to human pollution. This coming winter is going to be another deepfreeze. Get ready for it. Prepare for it. We warned you this last winter was going to be terrible, and it was. Expect another equally terrible winter this year. We replaced our fireplace (90% heat loss) with ventless propane, and added heat strips and heavy wiring to our heat pump. We have several generators (5,000, 2,500 and 1,000 watt) that run on both propane and gasoline. Prepare for another record deepfreeze. Since the liberals have made fools of themselves with Global Warming, what are they going to do? On December 16, 2008 Al Gore said in Germany, "In 5 years the polar ice will disappear". Well, there is more polar ice than ever now. They are going to blame carbon dioxide (which they call "carbon" and "carbon pollution") for all our ills. Folks, we all learned about the life giving photosynthesis of oxygen from carbon dioxide in grade school. We'd all be dead without carbon dioxide, along with all the plants, trees, animals, and everything else alive. Carbon dioxide is converted to OXYGEN by plants. Carbon dioxide is vital to every living being on earth. The "Evil Carbon" scam will mean not using coal or oil. Our standard of living will go totally to hell. Obama already has a "war on coal". We have 1,000 years of known coal reserves. We are the worlds largest coal reserve. You can make gasoline, jet fuel, and diesel out of coal for $2 a gallon with the SASOL process. At the first Earth Day celebration, in 1969, environmentalist Nigel Calder warned, �The threat of a new ice age must now stand alongside nuclear war as a likely source of wholesale death and misery for mankind.� That's right, in 1969 the liberals were telling us an "ice age" was coming. Liberals are all mentally ill. That's why they lie so much. What is really the biggest problem we face on this earth? OVERPOPULATION! We have over seven billion brain dead subhumans on this planet. We should have about a half billion- ONE FOURTEENTH of what we have today. About 500 million people on this earth would be the ideal. The stupider people are, the more they breed like cockroaches. If 95% of the Chinese, Indians, and Africans disappeared today it would be a good start. A good for them, too. China, India, and Africa would thrive with less people. The top 30 some highest birthrate countries are ALL in Africa. Countries like Haiti and the Philippines could simply be mass sterilized. Who isn't overbreeding like cockroaches? The Japanese are not even maintaining their population (number 220 out of 224). The Russians (165 out of 224) are losing population. ALL OF THE WHITE COUNTRIES fail to replace the 2.1 babies per couple. China has stopped breeding (162 out of 224) but still have well over a billion people. India is down to number 87, but also has over a billion people. Jewish people are losing population. They are also losing numbers by their very high 71% rate of intermarriage. That's right, 7 out of 10 marry outside their race. Jews don't want to marry other Jews. Ask them why. How do we get rid of six and a half billion people? Some, like Bill Gates simply want to murder them with vaccines and other diabolical methods. Google "Bill Gates reduce population with enough vaccines". Enforced birth control (as they do in China) is rather more humane. There is no reason to kill anyone. The Jewish comedian Joan Rivers was interviewed on TMZ. When told that 2,000 Palestinian infants, children, women, the elderly, and non-combatant men were murdered by the Israel soldiers she said, "Palestinians deserve to be dead!" She then went on to say: �You don�t get out, you are an idiot. At least the ones that were killed were the ones with low IQs.� You don't hear anyone in the major media saying, "Jews should be dead". She's Jewish, so she can say anything she wants without criticism. Abu Bakr al-Baghdadi, so-called �Caliph,� the head of ISIL (Islamic State in Iraq and the Levant is, according to sources reputed to originate from Edward Snowden, an actor named Elliot Shimon, a Mossad trained operative. 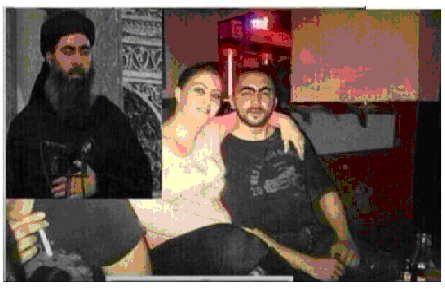 Simon Elliot (Elliot Shimon) aka Al-Baghdadi was born of two Jewish parents and is a Mossad agent. The real name of Abu Bakr al-Baghdadi is �Simon Elliott.� The so-called �Elliot� was recruited by the Israeli Mossad and was trained in espionage and psychological warfare against Arab and Islamic societies. Wouldn't you love to see GMO foods simply banned like they are in many other countries? Well, that's not going to happen. If they were just LABELED by law no one would buy them. They would disappear. Well, those freedom loving, free market Republicans are pushing bill HR4432. This would stop any state from requiring GMO labels. Ironically enough, this is called the Safe and Accurate Food Labeling Act!!! Isn't that a riot. George Orwell warned us day would be called night, and up would be called down by the government. Reality would be turned upside down. Read the article GMO Foods at www.youngagain.org. We are all eating GMO foods right now and we cannot stop it. There is no way to avoid them, as they are unlabeled. Don't kid yourself. We are all being poisoned by GMO foods every day. Why can't each state vote to demand GMO labeling? Because Monsanto runs the government, that's why. Ebola virus has been around for almost 40 years. Nothing new here. It was always limited to Africa. If we have an outbreak it will be engineered by our good friends at the CIA. THERE IS NO CURE. THERE IS NO VACCINE. 55% death rate (up to 90%), and the ones who live wish they had died. GlaxoSmithKline (GSK) Pharmaceuticals has a fake vaccine to be released next year. Not tested, doesn't work, expensive. You know, like the rest of the drugs the pharmaceutical companies push. They were fined $3 billion for felony crimes recently. They are criminals who will kill any amount of people for money. Do not listen to any stories about an Ebola vaccine. Supposedly, this is only spread by close person to person (or animal to person) contact, but it can be spread by airborne means, even in the tiniest of amounts. Maryland has banned semi-automatic rifles and any magazines over 10. They call them "assault weapons" even though an assault weapon is FULLY automatic. You must have a federal gun dealers license AND a class III automatic license to own an assault weapon. State by state by state guns will be banned. This is huge folks. 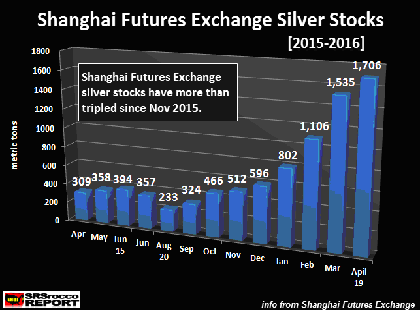 The Shanghai Silver Exchange has three times the volume of the COMEX. Their inventory has fallen from 1143 metric tons to a mere 148 tons. People are very upset about this and now see the Shanghai Exchange as no more honest than the COMEX. The Shanghai silver exchange is almost empty! The COMEX registered (what you can buy) storage is also almost empty. There is almost no silver left to buy. 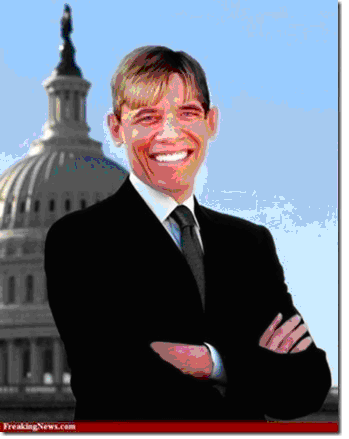 Do you like him any better when he's white? No? Me either. See, we're not racists. Be a silver stacker. Buy all the silver bullion you can at $20 and hold it personally. Put all your money into silver. No paper silver. no SLV, no silver stocks, no storage programs. Prep. Have a six month supply of everything you need. If you live in an apartment, in the city, or a crowded suburb then move. Whole grains, beans, condiments, canned goods, guns, ammo, a clean water source (we have a well in the back yard), toilet paper, paper towels, dish soap, bath soap, laundry soap, light bulbs, feminine hygiene, batteries, a generator, and everything you use daily.